I love the mornings, when they go my way. I love being the first to wake, being able to slowly greet the day in quiet. But let’s be honest, in the past couple of years my mornings have become quite the opposite experience. Waking up to the sound of hungry children, having 15 questions thrown at me before I’ve left my bedroom and nappies to change, breakfast to make, bags to pack, dishes to wash, teeth to brush and on and on our morning goes. The morning is our busiest time in the entire day and by 9am most days I’m ready for a nap – cue the coffee! I’ve always known the benefits of being an early riser, the increase in productivity and better energy throughout the day, but tiredness can be a real killer. And there are nights where going to be early or even on time is just out of the question. 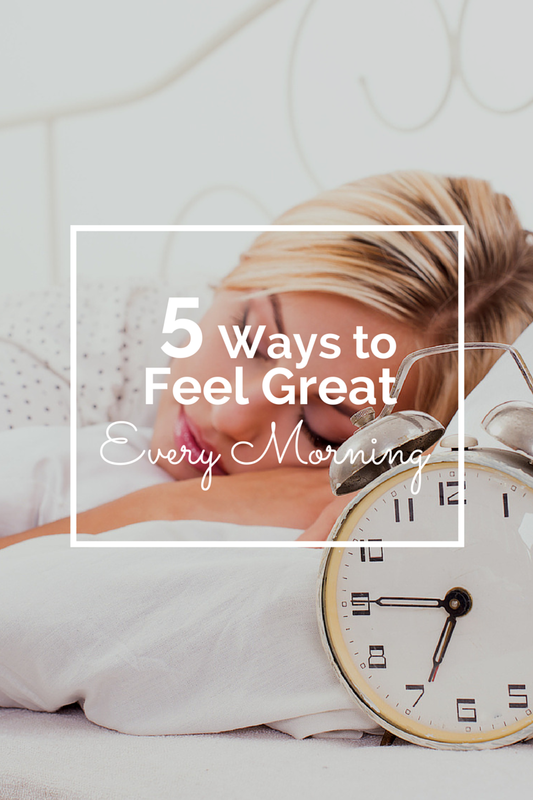 So in an effort to become more of a morning person again here’s 5 ways to help you wake up feeling great. This little app has become my new best friend. Every time I use it I wake up feeling completely refreshed and energised rather than hung over and cranky. You use it like an alarm, setting what time you are aiming to wake up for. You lay it on your bed near your pillow (not under it) and it analyses your sleep cycles through movement. It will then wake you up during your lightest sleep cycle over a longer period of time. You can adjust how long it gives you to wake up from 15 minutes to an hour. I set mine for 30 minutes. It will quietly and gently wake you up rather than being rudely interrupted by the beeping of your worst nightmare – an alarm clock. Download for iPhone or android for £0.69. This I’ve known for a long time, but like to deny it when I’m with friends or wanting to indulge on a Friday night. But eating sugar as the last thing you eat before bed is what causes that horrible hangover feeling. You’ll wake up cranky, moody and with a horrible headache. It always takes me until about 10 am to figure out why I’m feeling so rubbish the morning after chocolate. And this is just another reason I’m ditching sugar in my life. No time for that in the morning! The first thing we put in our bodies in the morning determines the rest of our day. Our bodies are starved and dehydrated each morning and we need to go gentle on it. Starting the morning with warm lemon water or honey and cinnamon tea both hydrates and cleanses the body of all toxins. It starts your metabolism the right way and doesn’t cause your blood sugar to spike or crash. I know we love our coffee and tea first thing but this only dehydrates us more and kickstarts our metabolism in the wrong way making it harder to digest our breakfast. Find something uplifting and cleansing that you’ll enjoy in the morning if you can’t do the lemon or honey and cinnamon. Perppermint, ginger, and even rooibus tea are all great alternatives. 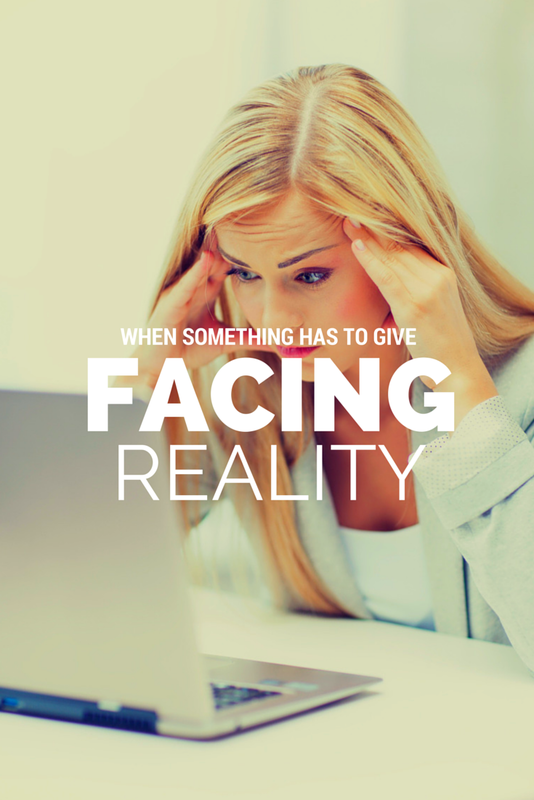 Easing into our day mentally can have a drastic effect on our mood for the day. I can get so pent up with all the demands of our morning routine that I just want to disappear back into bed. Spending time with God in the Bible is such a crucial part to setting my heart right for the day. It keeps me at peace and reminds me of the strength of my God that I can draw on for the day. If your mornings are out of balance, start in the word. Giving the first of our time is an act of worship and tithing. Keep God first and centre in your day. To jumpstart your metabolism for the day you need to either exercise or eat within an hour of rising, 30 minutes is best but definitely don’t wait longer than an hour. If you’re not a breakfast fan a smoothie is a good way to go. I can’t always fit in my exercise first thing, which is fine, so I’ll eat breakfast and do it later in the day. Eating protein or whole grains like oats is the best start to the day. Cereals, breakfast bars and muffins are all loaded with sugar and just cause our blood sugar to crash later in the morning. So now you know how to get your morning off to a great start! What are your tips for a great morning? Well, I am finally having to face the sad reality that I am no longer able to keep up with the three blogs posts per week that I have been ardently attempting for the past few months. Summer at home with all the kids, a new business to kick start and now my computer dying a very slow and tragic death has left me facing reality to cut back. I will now only be posting twice a week on Monday’s and Wednesday’s. My goal in this is to not just keep up but be able to plan ahead for the blog, create better content and connect more with you on facebook. My laptop was already plagued with dementia in its old age but tragically developed Parkinsons after I sneezed and spilt half a cup of tea over the keyboard. Oh yes, very sad indeed. The right hand side of my keyboard no longer works and I spend more time staring at ‘the spinning wheel of death’, as my family calls it, than actually writing anything. My mind is absolutely bursting with ideas, stories, insights and revelation God has whispered to me. I’ve always had a desire to share God’s heart and my experiences to encourage and equip you to achieve all that God has for you. Keeping up with it all has been challenging, to say the least, but mostly time consuming. There is literally no longer enough hours in each day and I have been burning the candle at both ends to keep up. So to help you the in the best way and share all that is on my heart I need to take a small step back. So all that to say, please bear with me as I work harder behind the scenes to be able to launch better in the future to share more of my heart with you. I absolutely love hearing from you and get encouraged from every comment, share, like and thank you! I would love to hear any ideas you may have on topics you would like me to cover. I am getting asked more and more about relationships so I will definitely be writing more on that, but if you have anything specific I would love to hear from you. I’ve been working hard. I mean, really hard these past few weeks. And sometimes when the clock ticks past midnight, again, and my head finally hits the pillow I wonder whether it’s all really worth it. Is my business really going to grow, is my writing really benefiting anyone? God is this really what you have for me? Oh yes, I have doubts, like I know you do. Is this all that God has for me, am I in the right place, am I going in the right direction, is God even in this? It can plague me after every failure, disappointment and epic work/family day (because it’s never just one or the other!). I pray about my life, my family, my marriage, my kids and my future. I pray over it because I want it to have meaning, purpose and success. And I know to get anywhere I need to follow God’s lead. But it’s hard, long days with blood sweat and tears thrown in from time to time. As I was going to bed Tuesday night those doubts starting stirring in my head again. I’m just so tired God, please tell me this is your will. As soon as my head hit the pillow I felt this burst of faith inside my heart and I heard God speak his love and will over me. I’m proud of you, I love you, keep going, I’m with you. Wow, it doesn’t get much better than that. And instead of going to bed deflated and defeated I went to be with the biggest smile on my face and woke up bursting to tell my husband the word from God. And it gave us faith, focus and hope for the day of work ahead. I know that my God is with me. His hope is an anchor for my soul and I feel that now more than ever in my life. He is my centre, my focus and my goal. I have Christ in me, the hope of glory. For a long time I couldn’t understand why His glory would be MY hope? Because, like my wise father shared with me today, without faith we have nothing. When in doubt, chose faith. When you’re buried in the work load, lost in your indecision or failing to find a pursuit – chose faith. Be anchored by God and seek him with everything you’ve got. 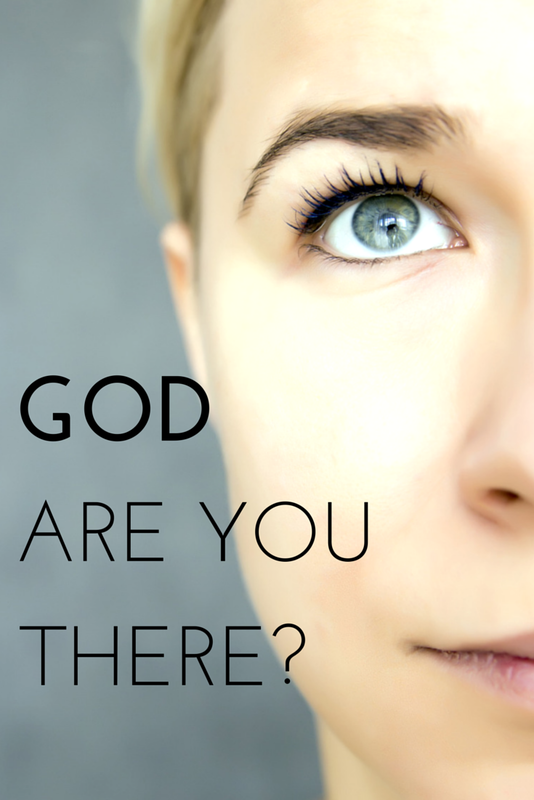 He’s right there with you and he’ll show you the way. 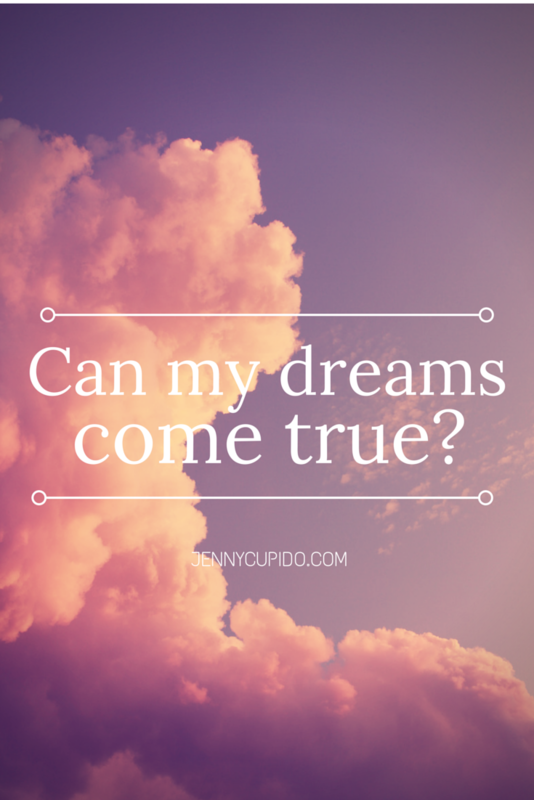 Can my dreams come true? Do you dream about your future? Do you think about where you’ll be in a year, 5 years, 10 years, even 50 years? I do it all the time. I was certainly a daydreamer growing up and would get lost in it, but now my dreams are much more focused. I was reading to the kids before putting them to bed and we were reading about Joseph. It suddenly dawned on me that God inspires our dreams. Not just our sleeping dreams, but our visionary dreams of our future. You know those moments where you see yourself years ahead in the future doing something so different from what you’re doing now. Our dreams can have a divine purpose and be a prophetic image for what’s ahead and that our dreams can come true . We may see things in our future that seem so out of place, beyond our capabilities and even a little bit strange. Is my dream too big? Would God really give me all that? God gave us imagination and he uses it to envision his plan for our lives. When He gives s a vision for our future He works His will and His way in our lives to get us to where he needs us. As my birthday went past I thought about all the things I’ve done in 28 years. The plans I made when I was 18 and where God has brought me. God went above and beyond all that I asked and imagined. He has blessed me beyond my comprehension and given me new passions and vision for my life. He has stretched my faith and gifts beyond what I ever thought capable. But I know that it’s all because of Him. Joseph dreamed dreams. They were strange, grand and impossible. But God used them to bring hope to Joseph when he was in slavery, wrongfully accused, and forgotten in prison. He dreamed a dream of greatness that only God could fulfill in his life. And God worked all things for His good (Romans 8:28). The dream was not just about Joseph becoming mighty and powerful above his family. It was about saving the entire nation of Israel from starvation. Don’t be afraid to dream. Let God stretch your imagination beyond where you are now to see where He is leading you. It may seem impossible, too big and far away to ever reach, but He is always at work in our lives to get us to where He needs us. We can so easily cling to our insecurities, our failures and our shortcomings to allow ourselves to see beyond where we are to where He is taking us. Trust in God to take you there. Don’t be afraid to follow where he leads and believe in His capabilities. If you follow me on Pinterest you’ll quickly discover that I have a not-so-secret obsession with clothes. And shoes. And handbags and jewellery. Okay, I just love it all! I’m just putting it out there so we all know where I stand. But for those who know me personally you will know that I spend hardly any money – and I mean hardly any – on any of those things. Once we started having kids and we went down to living on a single salary there was no longer a clothing budget. At all. Like, I couldn’t even buy new underwear for five years. Oh yeah, and so now with every Christmas I ask for pyjamas in whatever new size I am (I’ve been pregnant or post partum for five consecutive years) and with every Birthday I ask for that one item that I am desperately needing – like replacing the seriously haggard underwear! I used to be able to spend a good portion of my take home pay on clothing and shoes. If I was in town and felt a little cold I would just pop into H&M and buy a cardi. Feeling hot at the end of a work day and heading out for the evening – a new dress it was. But then the time came when impulse buying and seasonal shopping was simply out of the question. So how do I dress myself without spending any money?? I’ll tell you, through those same old hand-me downs and gifts – just like the kids. 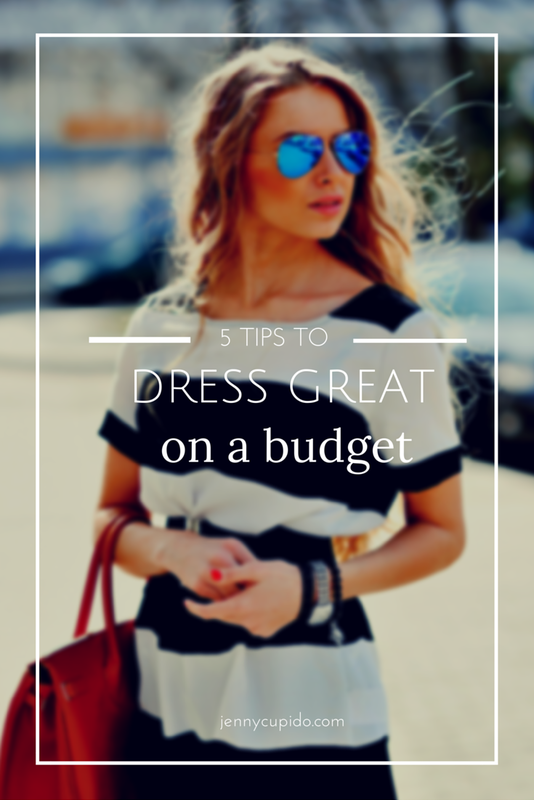 You may see a few repeating points from my secrets to dressing your kids on a budget. But it’s true. If you’ve got a friend whose clearing out their wardrobe and asks if you want anything, just say yes. No need to ask what they have, what’s the size or where do they shop from – just take it. Also, rummaging through your husbands clothes is always a good place to start. I use my hubbies shirts for pyjamas all the time. When you get other people’s clothes the style may not match you or the sizes may be a little off of yours, but look for the basics like black shirts, black trousers, denims and pretty accessories. I tend to keep only 10% of clothing handed to me. Bet thats all I need to get by. I don’t actually have that many clothes any more. 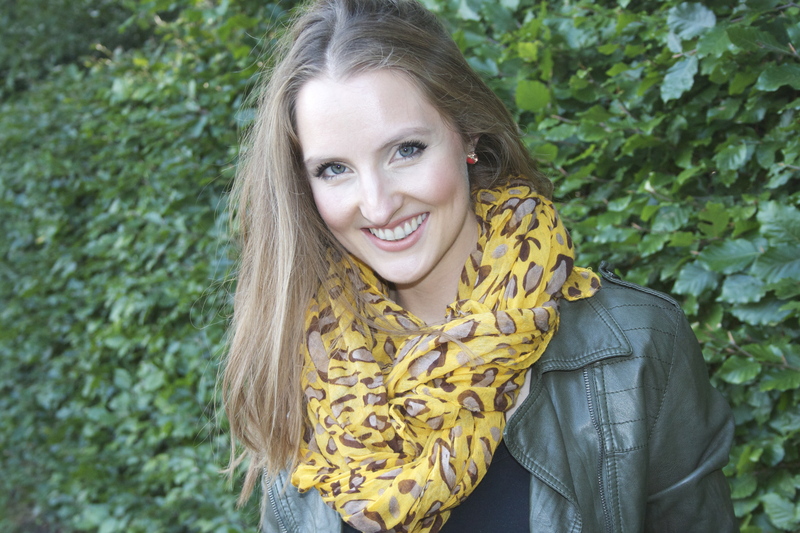 I’ve pared back my wardrobe to be full of essentials so that pretty much everything goes together. I have just enough tops for a week and two pairs of denims and one trouser. I wear them and then wash them and wear them all again in the same week. This keeps your wardrobe much more functional and your laundry manageable. The most common thing amongst women today is that we’re just used to having wardrobes stuffed and overflowing with clothes so that we never ever run out. But it really is not necessary and just makes it harder to keep on top of the laundry and more expensive. There are things that you do just have to buy yourself – again, the underwear springs to mind. And shoes! It’s hard to get a hand me down set of shoes that fit and don’t look like they’ve been on a walkabout. So when it does come time to buy new shoes I buy them with years of wear in mind, not just this season. I just recently had to replace winter boots, so I asked for them for my Birthday and got this awesome pair from TK Maxx. I only buy Birkenstocks for summer and they’re the only shoes I wear all summer. I’ve had three pairs in the last 10 years. I just got my last pair from Costco at half price and the pair before were from TK Maxx. They last ages and are super comfy. This is something that I had to learn. Being a fashion lover I stay right on top of the trends, but I just simply can’t buy into that. They’re short, fleeting and costly. I have had to change my look to be more classically stylish than on-trend. But I don’t mind a bit and have learned so much about how to make your clothes work well for any occasion. Below is one of my favourite outifts. 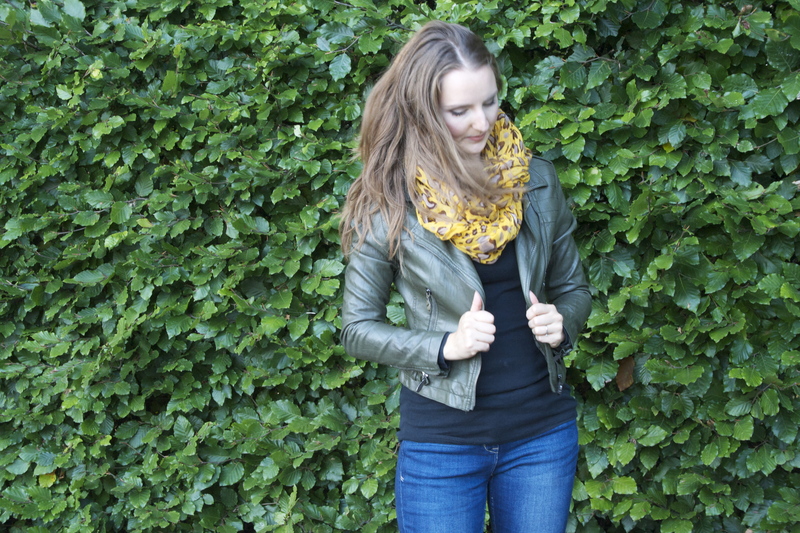 I would not go and buy myself a green leather jacket but it’s one of my favourites and matches perfectly with the scarf. The black shirt is a basic staple for any wardrobe and goes with anything. So this is the day that our family is quitting sugar for good. My husband has the end of the year in mind as his end goal, but me, I’m looking at a whole new way of eating. I’ve long suspected my bodies aversion to sugar. But I also know that our bodies do need it. So where do we find the balance? I get a killer headache from too much dark chocolate, but just the right pick me up from half a teaspoon of sugar in my tea. So how are we going to tackle this? We are saying no to all processed and added sugars. You’ll find sugars in just about anything these days. Just yesterday at our Church BBQ I was almost paralysed at the sauce stand getting into a discussion about which sauce would have the least amount of sugar – tomato ketchup, burger sauce or brown sauce?? It was always a no win situation, I went with burger sauce in the end. One of the things I’m looking forward to the most is the change for my kids. We have a whole cupboard dedicated to snacking that gets regularly stocked with biscuits, chocolate, crisps and other sweets and candies. And guess which cupboard my little Lulah points to every time she gets hungry? Oh yes, she will always chose the sugar and junk food cupboard over the fruit bowl. But I know this can change and I’ve already been making small changes to get there. Limiting my kids to one sweet thing a day and just not stocking up the cupboard so much, but alas then came my birthday and we all consumed unsightly amounts of cake over three days. Okay it was mostly me. I ate my birthday cake for breakfast, lunch and dinner the following day and little else. And big surprise I felt like I had been hit by a bus and left to recover without aid next day. 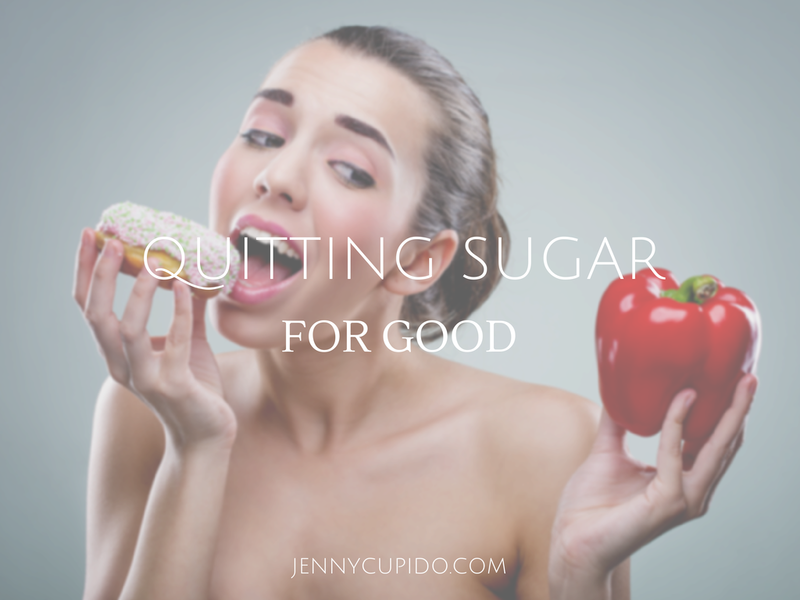 Did you know that we consume up to 500 calories extra a day just from sugar. This leads to an average weight gain of 1 lb a week! And sugar is hiding everywhere. It’s not just the chocolates and biscuits we’ll be looking out for. It’s in our bread, salad dressings, sauces, concentrate juice, soda’s and even those lovely flavored waters. I know many of you are having a Sugar free September and so I would love to hear how you’re doing! Doing it together always makes it more fun and I’ll be keeping you posted on how our lives are utterly transformed for the better due to no more sugar. Can you tell I’m excited! And if you’re not yet convinced here’s a few reasons to go for out. I find it soooo ironic that I’m writing about this today. The last in the series on Rest. I’ve spent the whole week completely exhausted and working all sorts of crazy hours, so it is definitely something I’m writing for myself. I love the busyness of our life and the fullness of having a family, but we still need to rest and there are days, weeks, and seasons when we just can’t fit in enough physical rest. But today I want to talk about a different kind of rest. One that supersedes all the naps, spa days and afternoon tea’s in the world. 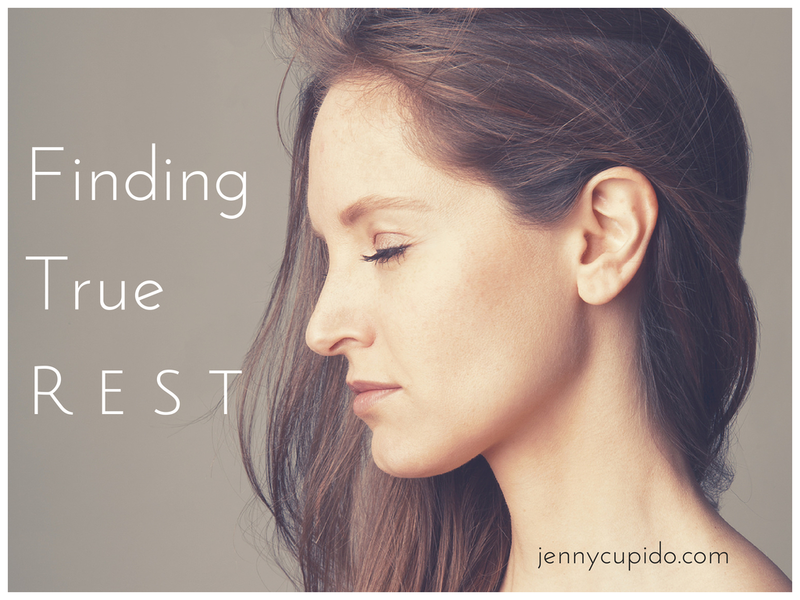 It’s the only type of rest that gives rest to your soul and not just your body and mind. Do you ever feel that restlessness in your spirit? The kind that makes it hard to fall asleep at night, stay motivated through the day and offer yourself in love to those closest to you? I’ve been there and I dip in and out of it every now and again. But I’ve made a discover. I’ve found that it’s the times I spend away from reading the Bible, praying and seeking God’s will that my soul gets restless and weary. I feel an emptiness, a numbness to the world around me and become isolated in my own thoughts and emotions. I’ll start to crave the vibrancy of life that only Christ gives. I begin to long for the intimacy of exchanging secrets with God. And then I’ll feel more and more guilty for the time I’ve spent away from Him and become aware of how unmotivated I am to pick up my Bible. It happens every time. It’s a consistent pattern that the longer I spend away from the Word of God the harder I find picking it up and reading it. But it’s the one place that brings true rest, peace and wholeness into my life. It holds secrets, mysteries, wisdom and practical knowledge for everyday life. And it’s not just in the Words of the Bible, it’s in the Spirit. It’s the Holy Spirit the reveals it’s mystery to my spirit, that makes the words come alive, click in my head and make the connection to my current situation. If you’re feeling weary and maybe guilty that you haven’t picked up your Bible in ages – now’s a great time to just go for it. Don’t let the guilt stop you from doing what’s right. That’s how the enemy schemes against us. He loves using our own emotions against us. Don’t give into it. Always seek him, especially when you are weary and find true rest for your soul.